PALM BEACH, Fla. – A parade of pets will greet guests arriving for the 43rd annual Peggy Adams Animal Rescue League’s Christmas Ball on Dec. 11, 2014, at the Sailfish Club. 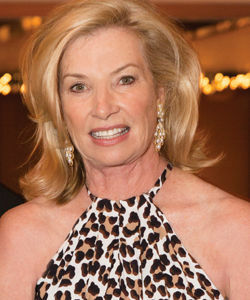 The event, affectionately known as the “Doggie Ball,” is chaired by Pauline Pitt, a supporter and board member. The evening will begin with a receiving line of pets welcoming guests as they arrive on the red carpet. Later, the dogs and cats will parade through the party, to the tune of “How Much Is That Doggie in the Window?” In years past, the display has resulted in a few animals finding new homes. The club will be decked out in holiday lights, garlands, festive Christmas trees and other decorations. Guests will have the opportunity to shop at the Shaggy Shoppe boutique to find holiday gifts for their pets and pet-loving friends. The Peggy Adams Animal Rescue League provides shelter to lost, homeless and unwanted animals as well as medical and other services for companion animals. Last year, the group provided services to more than 30,000 animals.